Millennium 1200, A Turntable Built Inside a Re-Purposed 1977 ‘Star Wars’ Millennium Falcon Toy #SciFiSunday « Adafruit Industries – Makers, hackers, artists, designers and engineers! This project combines two of our great loves: Star Wars and music gear. 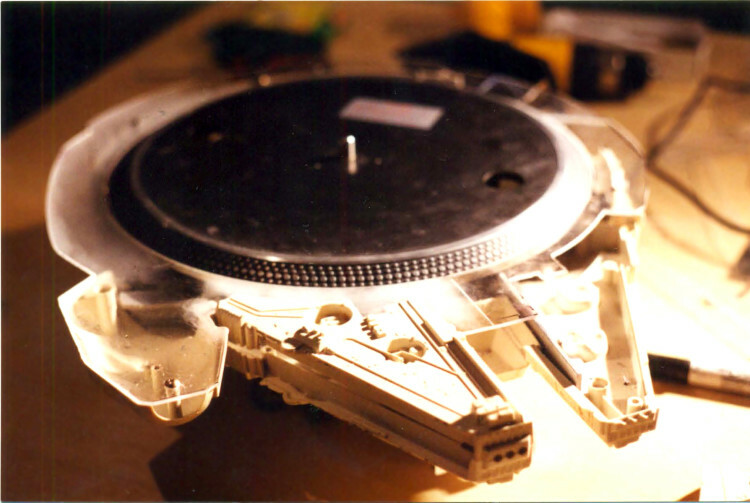 The Millennium 1200 is a Technics SL-1200 turntable built inside a re-purposed 1977 Star Wars Millennium Falcon toy by Texas musical instrument repairer, Marco Garza. Garza began the process of building the record player after buying the used spaceship for $2, gathering additional parts from Green Guy Recycling. All told, the mod took nine months to complete.